Hey everyone! 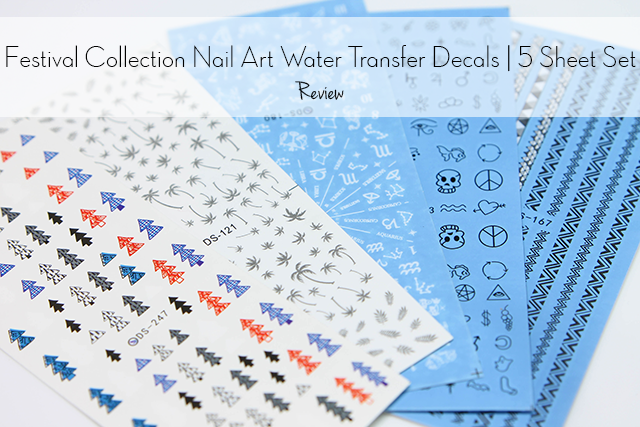 For today's post I have some fabulous water nail transfers from Bundle Monster. For the past few months I've been waiting for the right time to create some designs using these (surely I'm not the only one out there...don't you hate when that happens). However looking through some Pinterest inspirations, I finally had an epiphany and made up a few suitable for the decals. 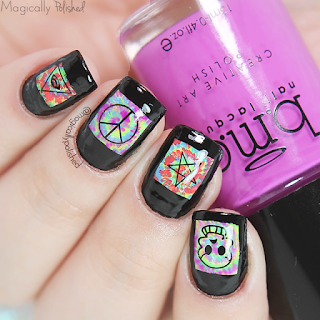 Knowing these where picked because of the famous festival in Cali, these are definitely fun designs for any occasion. 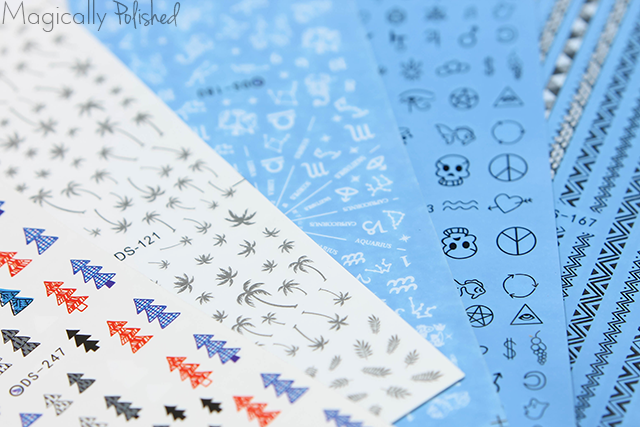 The Festival Collection Nail Art Decals come is a 5 sheet set with different designs. The first look I wanted to create a fun and perfect design for the Fall. 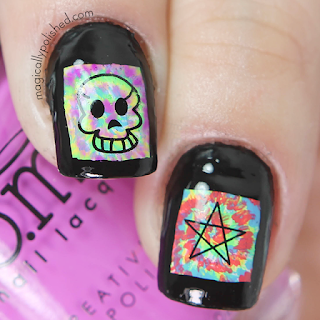 It's almost the end of summer, and Halloween is the best time to create so many looks. 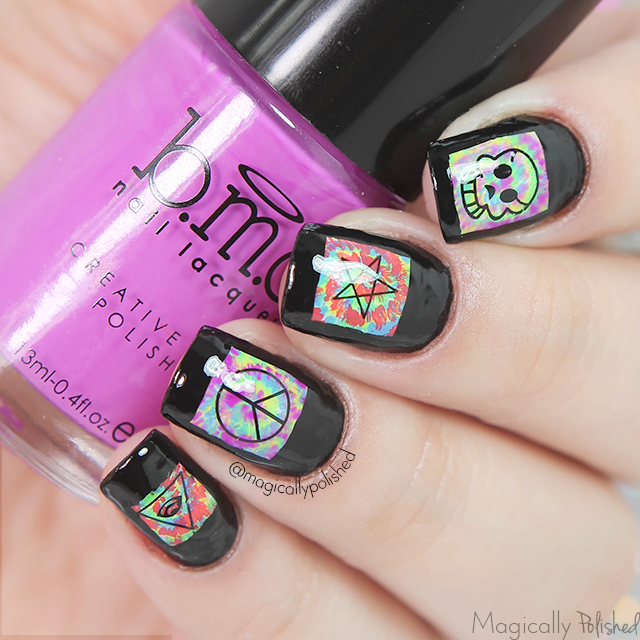 Looking everywhere for the prefect inspiration, I decided to create a tye dye and use one Bundle Monster festival water decals. First I applied two coats of BMC Angelic White. Once completely dried, I then freehand mini tye dye circles using Weekend Warrior stamping sets. I then created a line and filled in the outside using BMC Noir Black, creating small box frames. 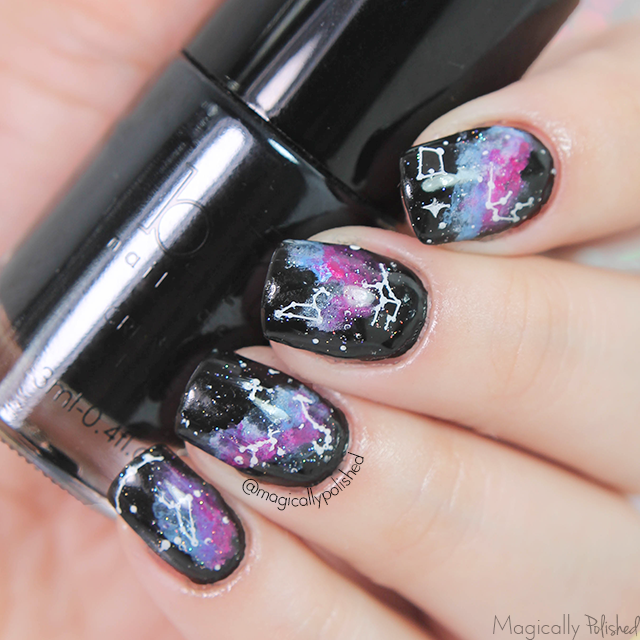 Having some of the images chosen, I then added them in the middle of the nails and sealed them with top coat. 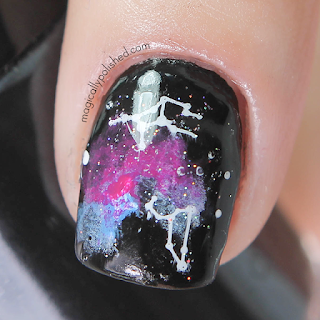 I absolutely love creating galaxy nails.It was the best and fun design to create. As an Astronomy nerd it suits me perfectly. First I applied two coats of BMC Noir Black. 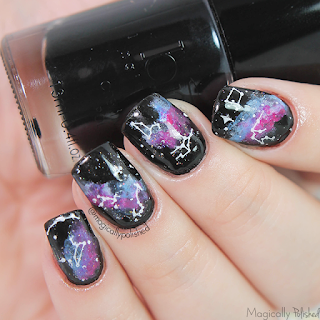 Once completely dried, I then add some galaxy clouds using white, pink, purple and blue nail polishes. I then created a applied a thin coat of holographic top coat for some sparkling goodness. 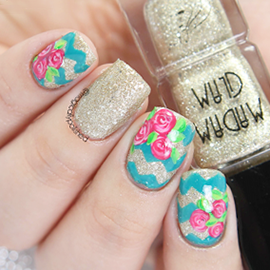 Having some of the images chosen, I then added them on each of the nails and sealed them with top coat. Overall the decals are all unique and amazing to use. Every decal were just perfect and applied nicely and crisp. I would definitely recommend these to everyone! You can purchase the set at BundleMonster.com now on sale for $3.99. Connect with Bundle Monster: Facebook | Twitter | Instagram | YouTube | Pinterest Hope all of you enjoyed my post today! What do you guys think? Let me know in the comments below!